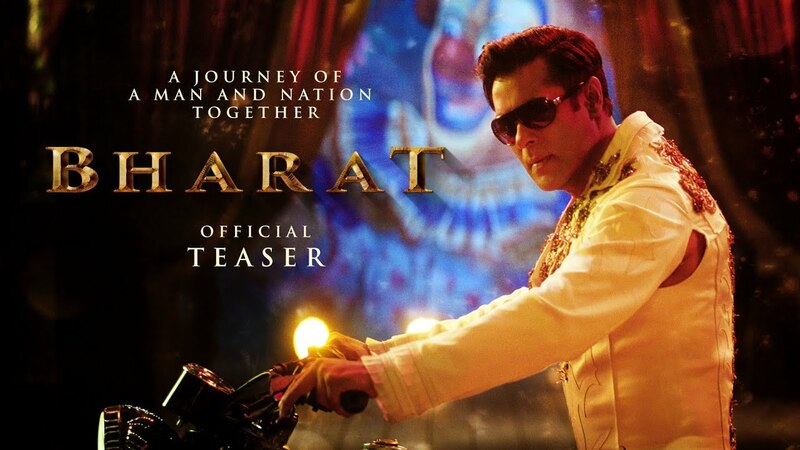 Among huge excitement of fans as well as audience, official teaser of Salman Khan starrer hindi film Bharat has been released. As expected the teaser looks superb and promises for a strong dose of entertainment in June, when the film will hit theaters worldwide. The 1:26 min teaser shows the filmmakers describe Bharat as the “journey of a man and a nation together.” Also the teaser starts with the line’ “Aksar log mujhse puchte hai ki mera surname kya hai, jaati kya hai, dharma kya hai”, and Salman’s terrific explanation about the quest gives you the goosebumps. The teaser has successfully created good buzz about the movie among audience and now everyone is looking forward for its official trailer and music. The film is based on Korean war drama An Ode To My Father, the rights of which were bought by Salman’s brother-in-law Atul Agnihotri. A part of Bharat is set in the circus during the Sixties. Salman Khan plays the role of a stunt artiste (as we saw in the teaser) while Disha Patani plays Salman’s colleague. She is a trapeze artiste in the film. Katrina Kaif, the film’s lead actress, reportedly meets Bharat later in his life. Maybe, when he’s in the Navy? The film marks Ali Abbas Zafar and Khan’s third collaboration after Sultan (2016) and Tiger Zinda Hai (2017). Directed by Ali Abbas Zafar, Bharat stars Salman Khan in lead role, along with Tabu, Katrina Kaif, Jackie Shroff, Sonali Kulkarni, Disha Patani and Nora Fatehi in pivotal roles. Produced by Atul Agnihotri, Alvira Khan Agnihotri, Bhushan Kumar, Krishan Kumar and Nikhil Namit under the banner Reel Life Production Pvt. Ltd, the film is all set to take box office by storm from June 2019 during EID.